Welcome to the Official Tyson Racing Website! Berwick, PA (3/22/2015)- It was a beautiful morning in Southern California at Auto Club Speedway in Fontana. The stage was set and NASCAR race fans flocked to see the pre-race concert, which was headlined by WARRANT, a big supporter of Tyson Racing. As WARRANT rocked the west coast, over on the east coast, Mark Tyson, driver of the #22 WARRANT/FireHouse Chevy Impala loaded up the car and took it over to the paint ship. It’s one of the final details in preparation for the 2015-racing season. “We’ll have a new look for the car this year”, noted Tyson, who is really looking forward to running at multiple east coast racetracks this season. This season the car will have a new look and two local companies, Competition Graphics will do the lettering. Although Tyson’s season isn’t carved in stone, his plan is to compete at several racetracks in the tri-state area. There are also a few other things in the works for the team, which will be announced as soon as the pieces fall into place. The team also plans to host a charity eBay auction for the “I Saw Red” WARRANT hood, which was on his racecar for the 2013 season. “As soon as the band is on the east coast, we’ll head out to the show and get the hood autographed”, said Tyson. 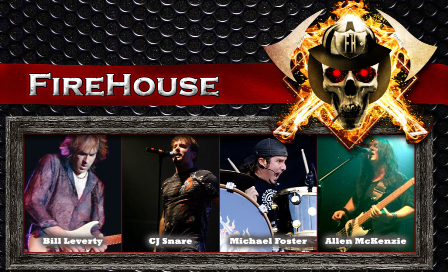 FireHouse and their upcoming schedule can be seen at www.firehousemusic.com and WARRANT can be found by visiting www.warrantrocks.com. 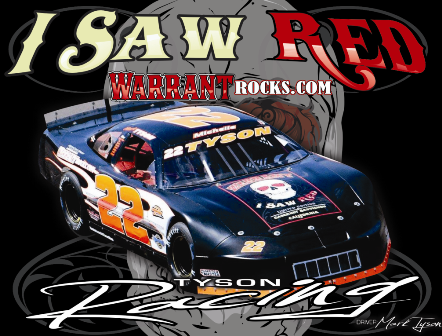 Of course Tyson Racing wouldn’t have near the success that they do without the great support from WARRANT, FireHouse, Sound EFX, Valve Tech Sales, Municipal Valve & Equipment, Engines by Hawk, Ric Savage, Competition Graphics, and Tyler Jett Motorsports Marketing. Interested in becoming a partner of Tyson Racing through Tyler Jett Motorsports Marketing? Visit www.tylerjett.com for more info. Berwick, PA (3/15/2014)- Directly out of Hatboro, PA, Mark Tyson and his #22 WARRANT/FireHouse Chevy Impala racing team are proud to announce yet another affiliation with their team for the 2015 season. Ric Savage, a former professional wrestler, television star and radio show host has come on board with the team for promotional support. A well accomplished individual and according to his website and other sources, Savage is a former professional wrestler, reality TV show host, motivational speaker, published author, historian, and the co-host of The Savage Turner Rock Express Radio Show with Erik Turner of multi-platinum hard rock artists, WARRANT. Savage wrestled from 1990-1997 in NWA, WCW, USWA, and ECW as well as dozens of independent federations across the United States. The Savage family stars consist of Ric, his wife, Rita and sons, G and Nick, from Savage Family Diggers on Spike TV. The show followed their business of historical artifact recovery in various locations from Alaska to New York City. Using metal detectors, ground penetrating radar, and tools ranging from hand shovels to bulldozers, the Savage family unearthed some incredible artifacts, and made many landowners money from what was buried on their properties. Tyson is equally excited about having the Savage name associated with his race team and the great group of people behind it. “We’ve been very fortunate to have great marketing partners and sponsors over the years”, noted the Pennsylvania native. Tyson won’t be racing for a championship at any given track this year. Instead, he and the team plan to compete occasionally at Mahoning Valley Speedway in Lehighton, PA and also at Jennerstown Speedway in western Pennsylvania. A trip down south to a short track or two definitely isn’t out of the question. For more information regarding Ric Savage, please visit www.officialricsavage.com. Interested in booking Savage to MC your concert or event? If so, contact Rachael Albright Straub at CSR Music Promotions by calling (570) 419-3495. Of course Tyson Racing wouldn’t have near the success that they do without the great support from WARRANT, FireHouse, Sound EFX, Valve Tech Sales, Municipal Valve & Equipment, Engines by Hawk and Tyler Jett Motorsports Marketing. Berwick, PA (10/28/14)- Mark Tyson of Hatboro, PA has had a racing season that’s been absolutely filled with trials and tribulations. From battling health issues most of the season, following by the closing of his home track half way through the year, he kept his head held high and was determined to return to the wheel of his #22 FireHouse Chevy Impala. Tyson was able to make a comeback later in the year and last Saturday night competed in the annual “OctoberFast” event at Mahoning Valley Speedway in Lehighton, PA.
Tyson began the afternoon with a practice session and he wasn’t totally happy with his car, which forced him to make a few slight adjustments. The changes helped a lot and he had a good run in his qualifier. He began the feature and started to work his way through the pack early on but a few drivers in front of him tangled and collected Tyson. Berwick, PA (10/5/2014)- This past Saturday, Mark Tyson of Hatboro, PA took his #22 FireHouse/WARRANT Chevy Impala stockcar to the Mahoning Valley Speedway in Lehighton, PA for some door-to-door action. Tyson managed to pull off a tenth place finish at the quarter mile bullring. “The car was a little loose in practice so the team snugged it up a bit for th e heat race and feature”, noted Tyson, who has battled with illness through the latter half of the season. 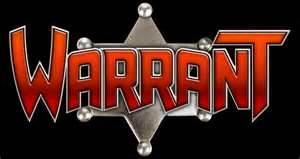 WARRANT can be found at www.warrantrocks.com and they too have a Facebook page to give a liking to. Of course Tyson Racing wouldn’t have near the success that they do without the great support from WARRANT, Erik Turner Wines, FireHouse, Sound EFX, Valve Tech Sales, Engines by Hawk and Tyler Jett Motorsports Marketing. Interested in becoming a sponsors or marketing partner through with Tyson Racing? For nearly any budget your business can be on a racecar that absolutely rocks! 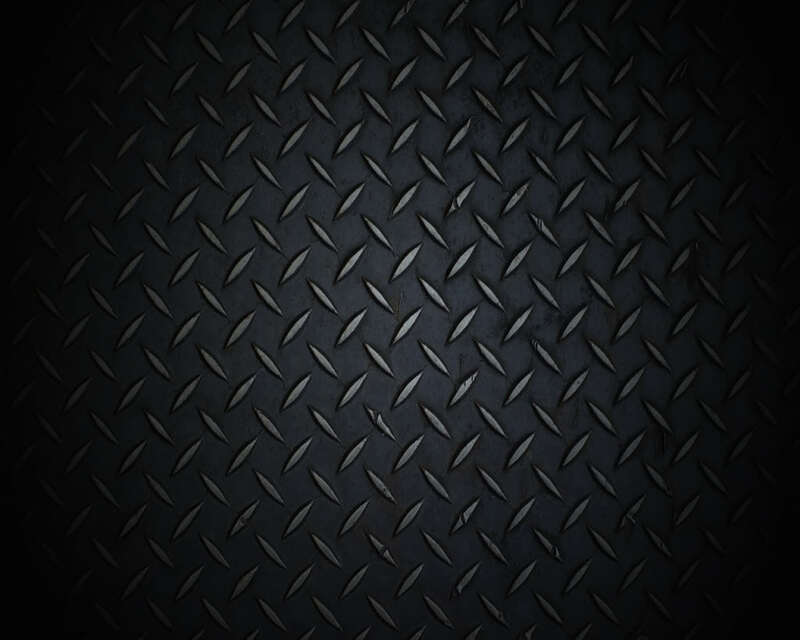 Visit www.tylerjett.com for contact info. Jim Thorpe, PA (9/7/14)- It’s not often that Mark Tyson, his team and a multiplatinum band have the opportunity to get together for one of their cross promotional efforts. 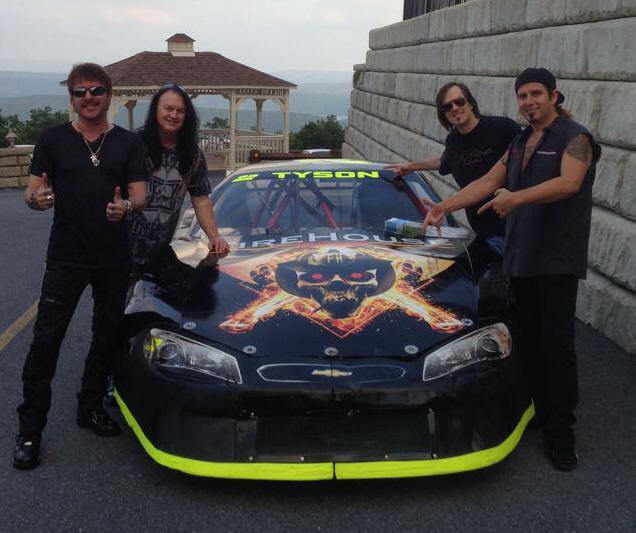 However, the stars aligned last Friday evening and Tyson, driver of the #22 FireHouse Chevy Impala and his race team met up with the band at Penn’s Peak in Jim Thorpe, PA before their show. The racecar was on display for concertgoers to see and the event was a proven success for all parties involved. Tyson was excited prior to the show and even more fired up after FireHouse took to the stage in an incredible performance. "I can’t thank my DSP (Dirty South Posse) teammates enough for getting the car ready for the show. Special thanks go out to Mitch Hawk, Dan Pawlicki and Rich Pachiotti. The not only teammates, but also true friends." He was overwhelmed with the response from the folks that came to the show to see not only FireHouse, but Winger as well, and of course Tyson, who loves that genre of music, stayed for the entire show. "What an awesome night we had with bringing the #22 Firehouse Chevy out to Penn’s Peak to rock out- what a blast! I want to thank the great folks at Penn’s Peak for having us. We felt incredibly welcomed at an incredible venue to come see a show!" Of course the event wouldn’t have been possible without support from Penn’s Peak and of course a tremendous amount of support from the band itself. "Special thanks to CJ Snare, Michael Foster, Bill Leverty and Allen McKenzie of Firehouse”, noted Tyson. “They’re true class-act rockers and I'm blessed to be a part of this!" Tyson will be back on track soon at Mahoning Valley Speedway in Lehighton, PA. 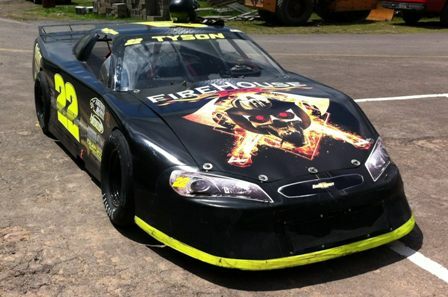 He also hopes to compete in an event at Jennerstown Speedway in western, PA before the 2014 season comes to a close. For more information regarding Penn’s Peak and their upcoming shows, please visit www.pennspeak.com. Of course Tyson Racing wouldn’t have near the success that they do without the great support from FireHouse, Sound EFX, Valve Tech Sales, Engines by Hawk, Catalyst Physical Theropy, WARRANT, Erik Turner Wines, Municipal Valve & Equipment and Tyler Jett Motorsports Marketing. Interested in sponsoring a race team that rocks? If so, please contact Tyler Jett Motorsports Marketing at www.tylerjett.com. All types of sponsorships are available for almost any budget. If you would like an autographed 8x10 Tyson Racing card, please send us an email HERE with your mailing address and to whom the card should be signed. If you would like to receive press releases from Tyson Racing this season, please send an email with your full name HERE. Sponsorship Opportunities Are Available For Any Budget! Tyson Racing is looking for additional sponsorship for the upcoming season. This gives you the opportunity to not only be on the #22 WARRANT - I Saw Red Chevy Impala, but it will also give your business great exposure, while working with great people. As an added bonus this season, every new sponsor will receive a bottle of I Saw Red, personally signed by Erik Turner of WARRANT. For more info, please click HERE.